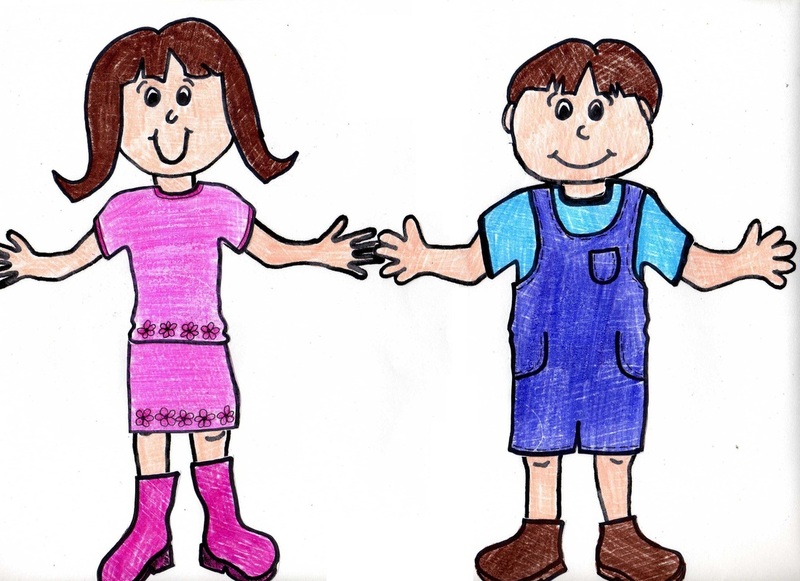 Old fashioned paper dolls with clothes are now hard to find, but here you can make your own, and personalise them to make them special - the kids can colour in the clothes and the dolls, then dress them up how they wish. 1. 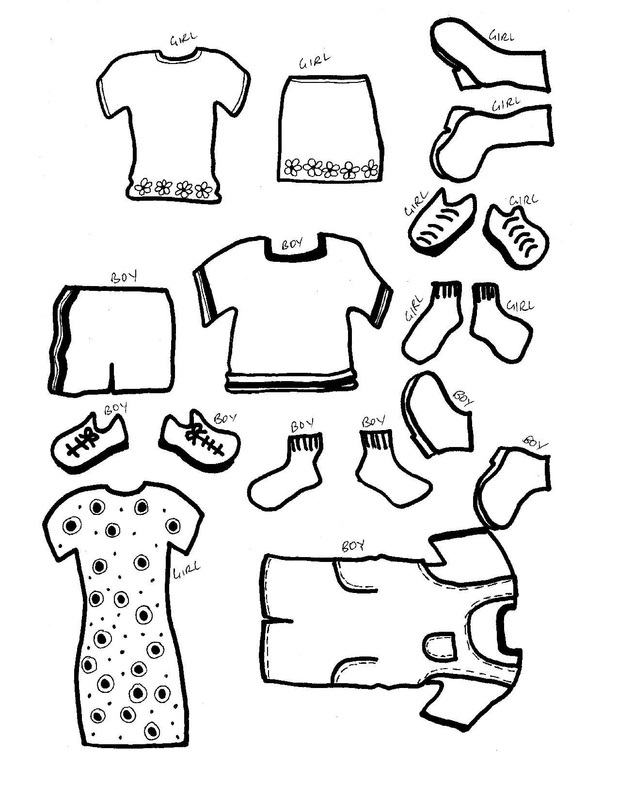 Print off the 3 templates (Boy Doll, Girl Doll, Clothes) - they are in black and white. 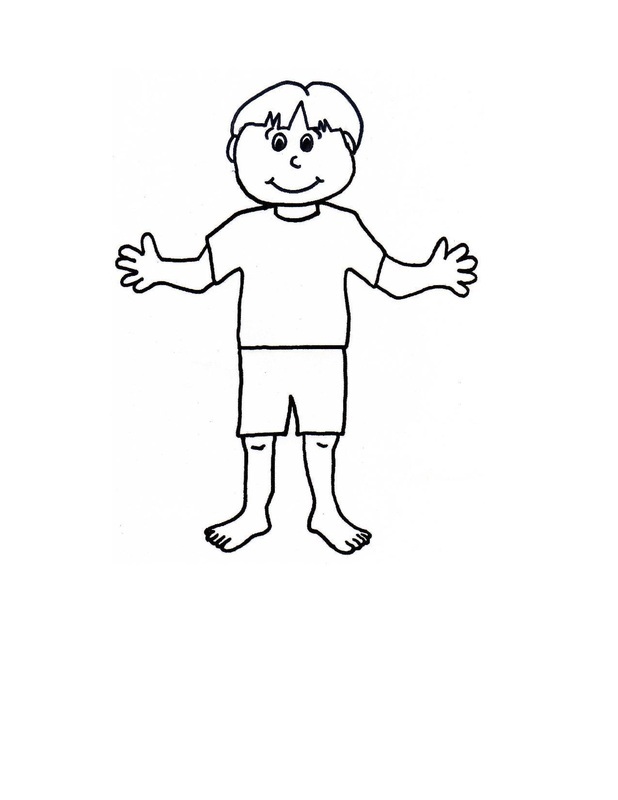 If your kids are young or not into colouring, you could print them onto different coloured papers. 2. Colour in the Dolls and clothes. 3. (Optional - if you have a laminator). 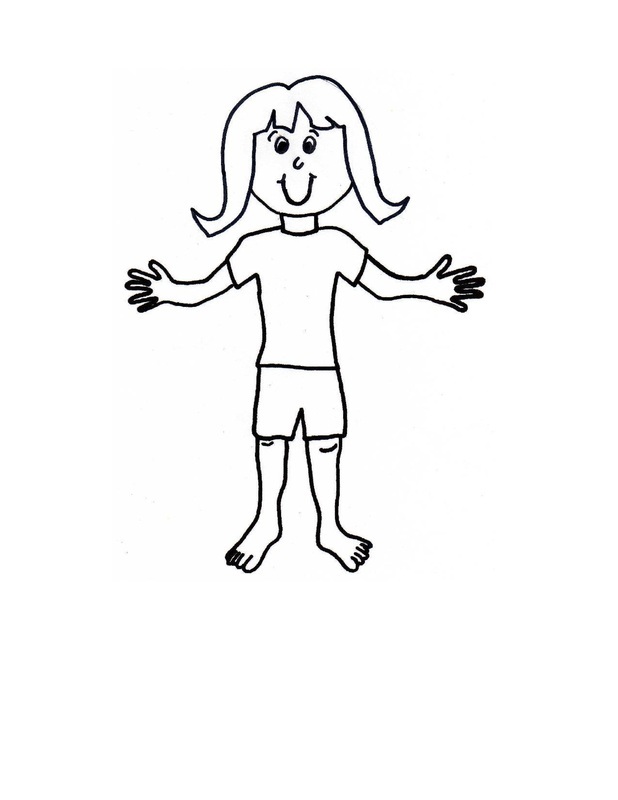 Laminate the 3 sheets once the kids have finished colouring them in - it makes them durable for little fingers. 4. Cut out the clothes. 5. Use blu-tack to stick the different pieces of clothing onto the dolls (or glue if you would like one permanent outfit on the doll). You may like to design their own clothes for the dolls ... make them a pair of sunglasses or a hat.